SHAKOPEE, Minn. — Feb. 6, 2018 — RTI, a leading control and automation manufacturer for residential and commercial settings, today announced that it has acquired the Miravue video-over-IP distribution solution from the company of the same name. 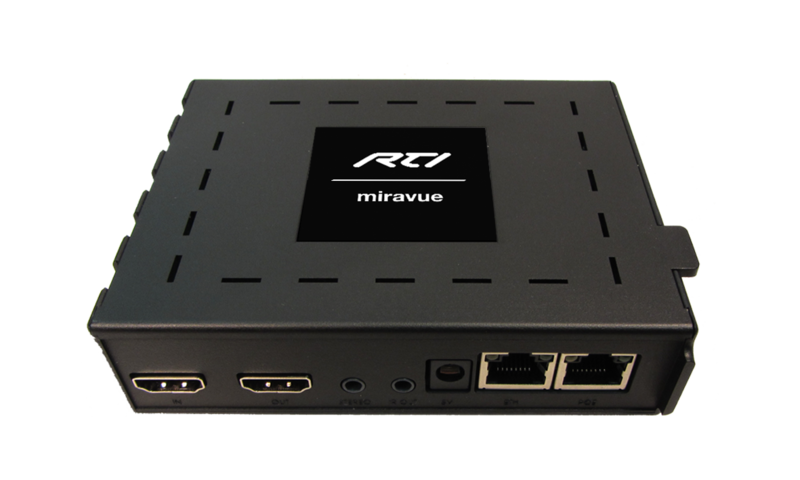 Continuing its efforts to provide dealers with a comprehensive, end-to-end solution, RTI will offer the RTI Miravue VIP-1 video-over-IP system for powerful, scalable AV distribution over Ethernet, coax cable, and wireless networking. For the ultimate in flexibility, the VIP-1 acts as a transmitter, receiver, network switch, and wireless access point, dramatically lowering AV distribution costs by reducing cabling and installation time. The unit supports HDMI/HDCP 1.x and 2.x video sources with ultra-low latency. In addition, non-HDMI sources such as mobile devices, network video streams from IP cameras, and network-attached storage may be viewed without the need for additional equipment. The VIP-1’s built-in scaler matches the displays’ maximum resolution, while automatically providing stereo downmixing and lip-sync adjustment. Perfect for new and retrofit installations, the VIP-1 delivers high-quality HD video over Ethernet, coax cable, and wireless networking. Due to its low bandwidth usage, it does not require any specialized networking gear, instead needing only an unmanaged network switch for Ethernet installations. The video over IP system also acts as an extension of the RTI control ecosystem. When combined with an XP processor, it is capable of delivering IR and two-way RS-232 control to connected devices, allowing users to control them with the RTI interface of their choice.